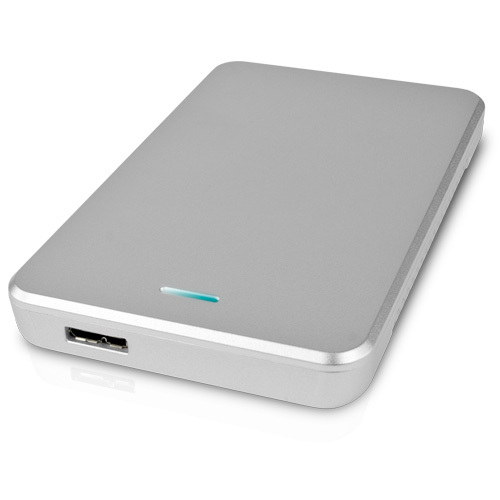 With USB 3.0 and Thunderbolt ports available on recent computers, using an external storage device is becoming a very attractive option for a bootable drive. 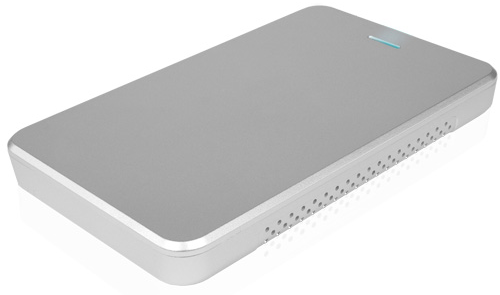 In this review we explore the OWC Express 2.5″ Portable USB 3.0 external enclosure as an option to install a bootable SSD to a 2012 Mac mini. Macs are not reputed to provide easy computer upgrade to the end user. My mother had a 2009 Mac mini, in which I upgraded the RAM and installed an SSD (a Crucial M500 128 GB). When it was time to upgrade the computer itself to a Mac mini 2012, I bought it with 8 GB of RAM from Apple, but no SSD option, as she already had one. When I was confronted to install the SSD internally, my heart broke and I searched for an alternative. That is where the OWC Express 2.5″ Portable USB 3.0 came to help. The Mac mini now has USB 3.0 as well as a Thunderbolt port. Finding a Thunderbolt enclosure proved more difficult and pricier than any USB 3.0. In my previous tests of the Drobo 5D, I remembered that the Thunderbolt vs USB 3.0 speed were very on par. And with a single drive enclosure, either choice would end up very similar. I installed the Crucial SSD into the OWC enclosure. Doing it is very simple: connect the SSD to the SATA connector in the enclosure, secure the two screws to close it, and that’s it. Five minutes and it was done, compared to the various steps to dismantle the Mac mini to install it internally. For the software part, I simply used Carbon Copy Cloner to make a duplicate of the internal HDD of the Mac mini, and I rebooted the computer on the external SSD. As expected, performance improved a lot from the HDD, even if the SSD is external over a USB 3.0 cable. As shown in the screenshot below of the BlackMagic Disk Tests, the SSD (top) performs way better in read speed than the internal HDD (bottom). Write speed is not as good as the read is, but it is very acceptable and is close to the Crucial specs for it. If we consider that we read way more often from the disk than we write on it, you get an impressive speed bump. I installed TRIM Enabler on the SSD, and activated it. The software is capable of enabling TRIM on an external SSD, which optimizes the SSD as we use it. It works on Yosemite (Mac OS X 10.10) by disabling the kernel’s extension (KEXT) signature. Overall, the OWC external enclosure can help you achieve what Apple makes very difficult to do: booting on a SSD on your enabled USB 3.0 Mac. It does it at a very decent price, and with an ease of installation for those unwilling to dismantle their Mac to do so. With the enclosure, OWC provides the USB cable and a small pouch to protect the enclosure when traveling. The enclosure is made of plastic and can be purchased in black or silver, the latter color perfectly matching the Apple aluminum color.